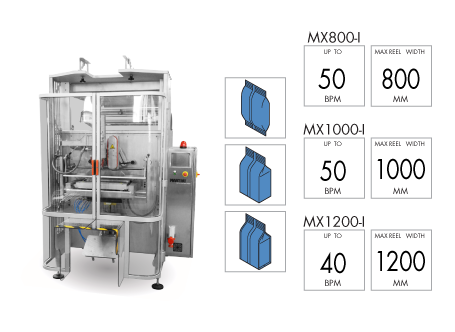 MX-I Series - TARGET Packaging System LTD.
Martini proposes three models for needs of packaging sizes up to max 380mm width bags starting from a ﬁlm reel of 800mm width. Thanks to our experience we can propose machines adaptable to different needs with the same characteristics of customization of smaller models. We will provide you the perfect optional equipment for an optimized packaging process based on a thorough analysis of your production needs.